Students created digital stories based on The House on Mango Street. 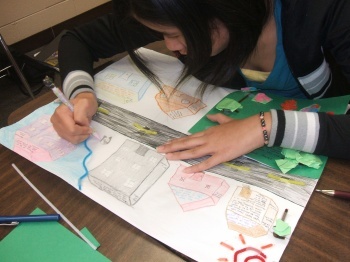 Freshmen have been working on completion of their map projects based on the neighborhood represented in Sandra Cisneros’s novel, The House on Mango Street. This assignment required students to work in groups, each member performing a particular role (illustrator, annotator, quotation seeker). 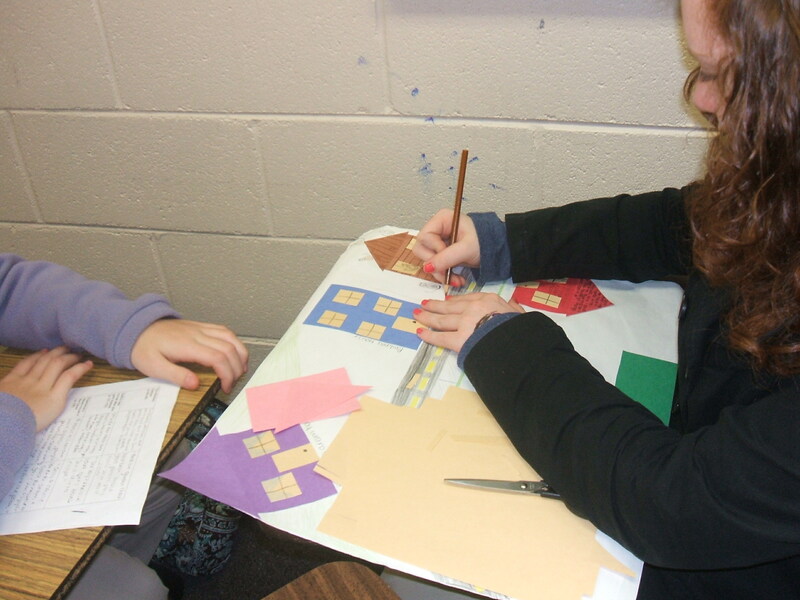 Students chose ten houses presented in the novel and depicted them on a map of the neighborhood. This project was a culminating experience following completion of reading the novel. The map project forced students to make inferences based upon details presented in the text in addition to demonstrating their comprehension of the text. Plus, the map project was just plain fun! I’ll post photos of completed maps as the students finish them.